Jen Briskin and her grandpa share a special relationship with one another. They love each other dearly, as Jen was brought up in her grandparent’s house. During Jen’s wedding, her grandpa wanted to do something instead of just sitting on the sidelines. He surprised everyone by being the ‘flower boy’ for her entrance. This unexpected surprise left everyone smiling, and you can see his happiness in his face. 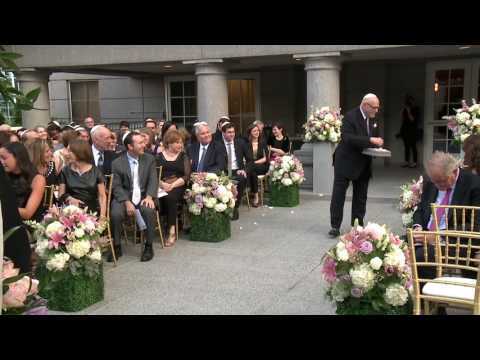 85-YEAR-OLD "FLOWER GRANDPA" SURPRISES GUESTS!